Daryl Johnson (Worcester Park, United Kingdom) on 26 December 2007 in Architecture and Portfolio. Taken in Kyoto on Christmas Eve. Beautiful! The golden yellow is wonderful! @Lorraine: Thanks Lorraine! It's a beautiful place. So nice, the golden is like god light ! De très joyeuses fêtes de fin d'année à toi et à toute ta famille !!! Daroru , is this the famous golden temple or palace? It is so beautiful and serene. Best wishes to you and your family this holiday season and a very Happy New Year 2008. @aggie: Thank you aggie. 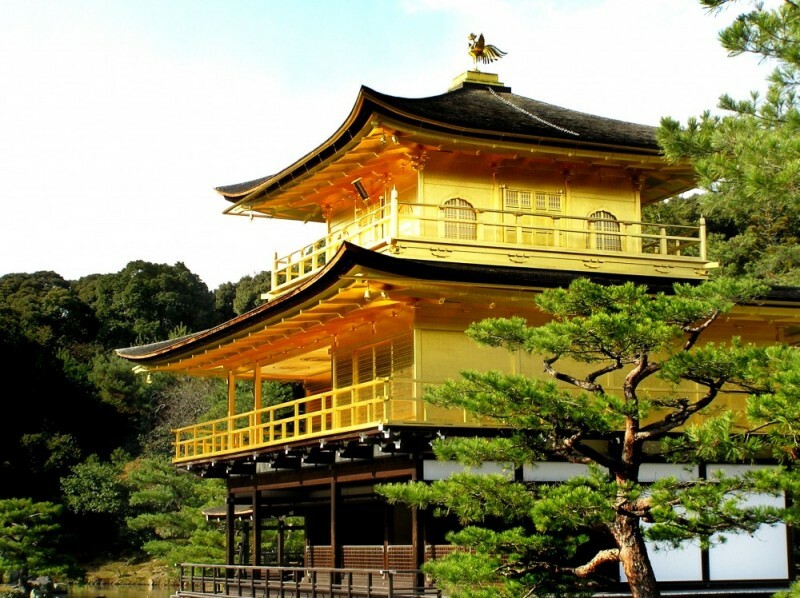 It is the famous golden pavilion in Kyoto (the temple's actually another building in the grounds, not this one!). It is a gorgeous building and shot. Wow, how did you get this light under the overhanging roof? Perfect, mon ami! @Wolfgang Prigge: Thanks Wolfgang. Its a reflection, enhanced a little in the pp. ABSOLUTELY STUNNING!!! Happy Holidays to you and yours!!! @Shades of Mandee: Thank you Shades of Mandee! it is really wonderful, nice color. magnifique endroit, les couleurs sont très belles.